Nysmith School for the Gifted is nationally recognized for its students’ high test scores, but the curriculum of the K-8 school wasn’t built to help students pass tests, said Headmaster Ken Nysmith. Instead, school leaders focus earnestly on something they see as far more authentic and effective — having fun. 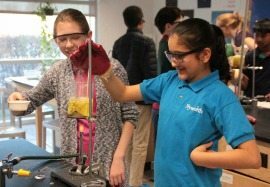 The private school in Herndon, Virginia, will host the annual K-12 STEM Symposium, facilitated by WashingtonExec’s STEM Council and presented by Altamira Technologies, on April 14. The event is free to students and parents, and Nysmith is encouraging everyone to come. Launched in 2013, the symposium is designed to help bridge gaps in the workforce pipeline by introducing tomorrow’s workforce to today’s opportunities. Nearly 5,000 attendees are expected, in addition to more than 50 exhibitors, at least 20 student showcases and numerous speakers. There will be 3D printers, drones, flight simulators, physics experiences, topography models, puzzles, robotics teams and more. Nysmith teachers and students are working for the next several weeks on finishing their own hands-on projects and demonstrations in preparation for the event. Some of those projects are amplified versions of what they already do every day. The school’s focus on “fun” means hiring subject specialists from kindergarten on up. Science teachers have science backgrounds and not just classes in pedagogy. Technology teachers are proficient in their fields. Social studies teachers have traveled. Their expertise and enthusiasm carries into the classroom where students can be willingly pulled rather than pushed into ever-burgeoning STEM fields. The symposium feels more like a festival than a formal school atmosphere, Nysmith said. It’s lured visitors from as far away as Ohio and has drawn representatives from large corporations across the country. Nysmith began in 1984 as a small, family-operated institution designed to provide opportunities and deeper learning for gifted young students. 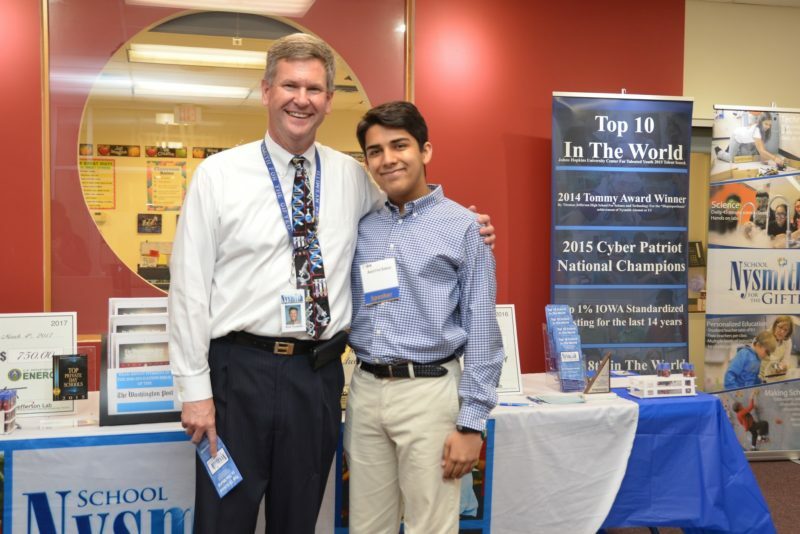 Science, technology, engineering and math have always been a strong focus at Nysmith, so when parent and WashingtonExec founder and CEO JD Kathuria approached him about hosting the annual K-12 STEM Symposium, “yes” was the obvious answer. “Mr. Kathuria mentioned that the professional consensus of the leaders in national security was that the United States was not producing enough students who were interested in STEM to support the national security needs of the nation,” Nysmith said. 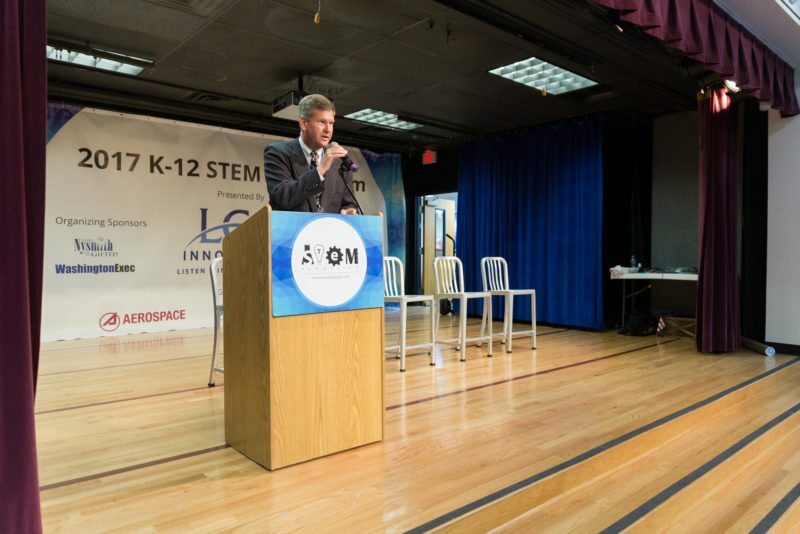 In conversations with symposium organizers, Nysmith was told one of the problems with the STEM workforce pipeline was the lack of exposure to the joy and value of STEM fields. That’s a stark contrast from the Nysmith way. Since Nysmith’s mother began the school, students have had access to modern technology along with daily science and technology classes. At the time, it was a revolutionary idea. Back then, the school embraced the growing movement toward personal computing, providing a fleet of Commodore 64s to its budding programmers. 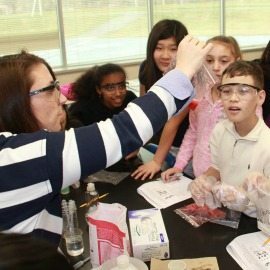 “What we found through early hands-on integration of science and technology was that our students were not only better prepared for the future because they were able to use technology and leverage it in their future academic careers, they were inspired and had a switch flipped inside them so that many of them pursued careers in those fields,” Nysmith said. Schools like Nysmith help replace the stereotype of STEM-smart students as socially awkward and uncool with a different image in which they are valued and praised for their knowledge, efforts and abilities. “At the symposium, visitors will meet people who love what they do,” Nysmith said. “They will meet students who are just like them who are doing fascinating and fun projects and activities and see that they can do them, too. I think a big part of the symposium is inspiration. Previous ArticleTop 25 GovCon Execs To Watch in 2018: Kevin Phillips, President and CEO, ManTech Int.